What are all these automotive cameras doing? The Khronos family has a new baby: OpenVX. ARM TechCon expanded significantly this year. 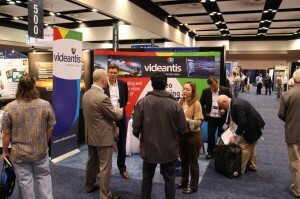 Attendance grew with 26% to over 4500 and more than 150 conference sessions were held. 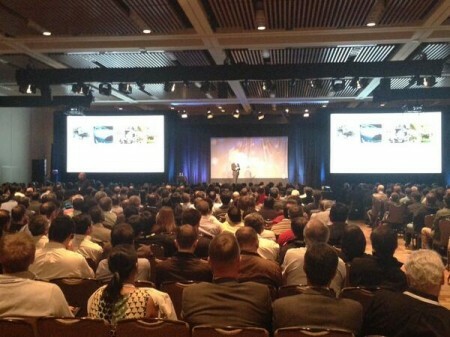 ARM’s CEO Simon Segars presented the 48-minute keynote. So did he speak about ARM’s roadmap, new processor technologies, the IP industry, or semiconductors? Not really. He mostly spoke about the modern mobile experience, the data center, and the Internet of things. More videos from the show can be viewed on ARM’s video channel. We had a booth there where we showed our latest demonstrations. Our low-latency H.264 High Intra encoder and decoder were on display, as well as our multi-standard video coding solution. 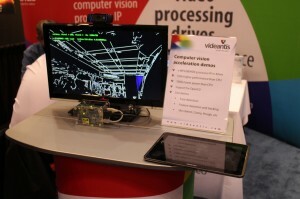 Another key demonstration was our low-power, high-performance computer vision solution, where we showed how we accelerate OpenCV. Compared to running such vision algorithms on the ARM, we get a 100x speed-up and 1000x power savings. On display were our face detection, feature detection and tracking, canny edge detection, and many other computer vision algorithms. It was great to meet you all, thanks for stopping by our booth. Didn’t have a chance to meet us? We’ll be at CES in Las Vegas in early January and the Mobile World Congress in Barcelona, Spain late February. Please contact us to set up a meeting.